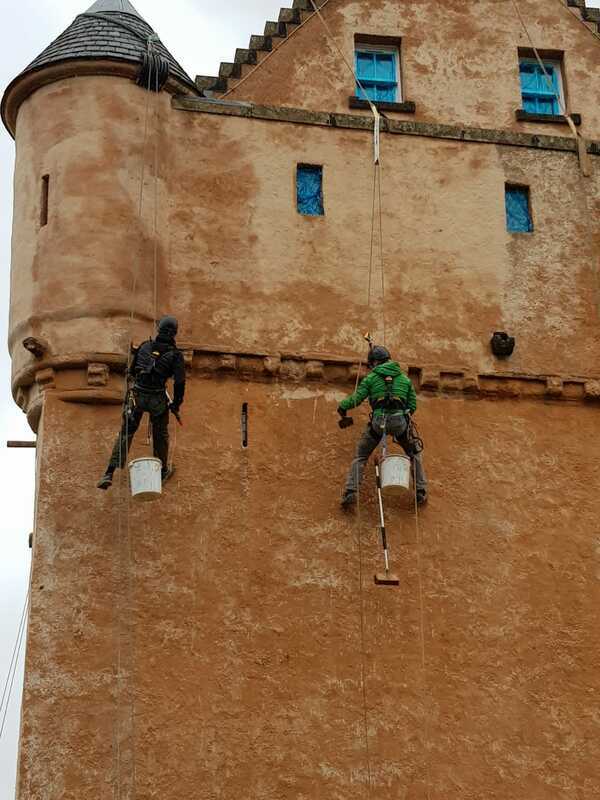 LIMERICH have in-house IRATA qualified Industrial Rope Access Technicians allowing us to access and work on difficult-to-reach locations without the use (and cost) of scaffolding. We are also qualified IPAF operators and hire in mobile elevated working platforms to the same effect. These in-house skills allows us to offer pre-start site surveys and inspection to enable client and contractor to understand the full scope of repairs required and produce a Bill of Quantities if required for a known scope of works prior to scaffolding being erected, this allows us to place a stone order and wait until we are in possession of the stone reducing the expensive scaffold hire costs. 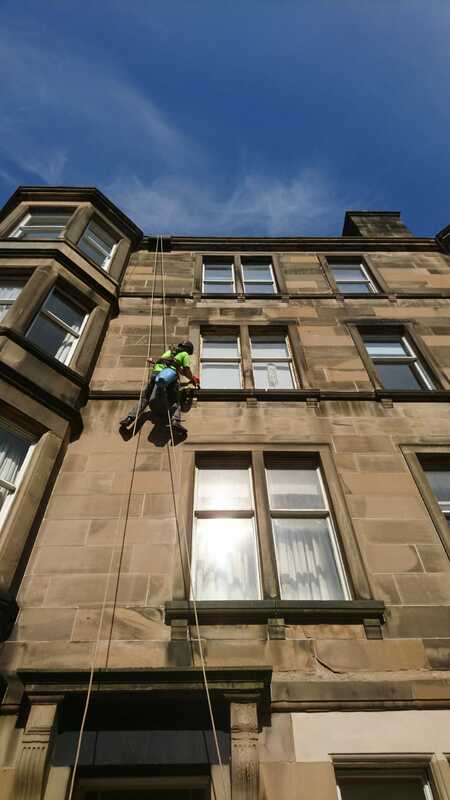 With loose masonry being a very common problem we can access those difficult areas and make them safe before they fall. 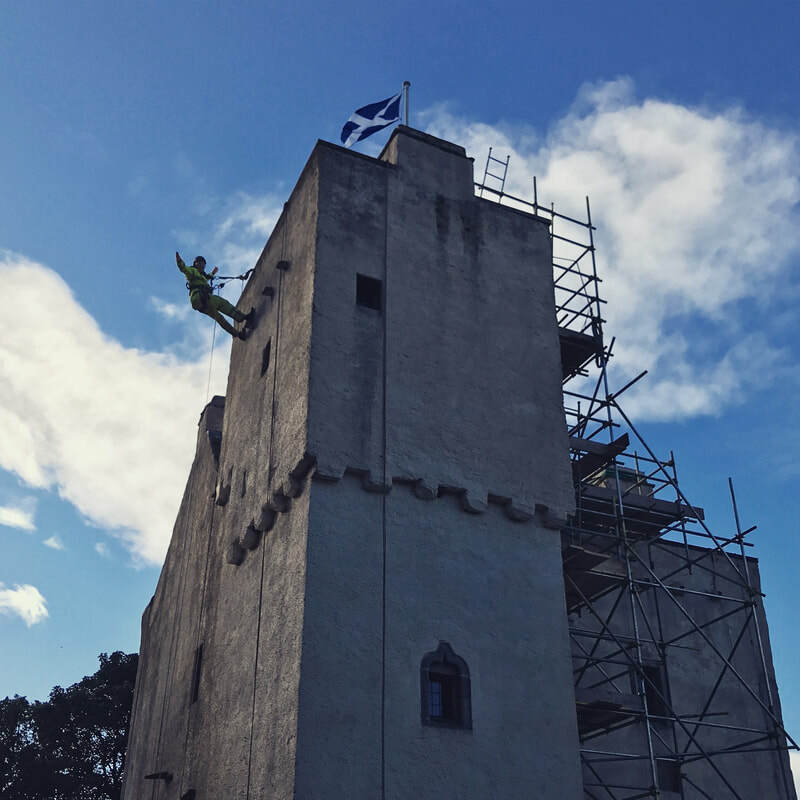 Rope Access has been a huge cost saver for several of our clients including Kilcoe Castle, Kinlochaline Castle and Tullibole Castle which all required periodical lime washing, we were able to execute the full scope of works from ropes all for less than the costs of the scaffolding alone!